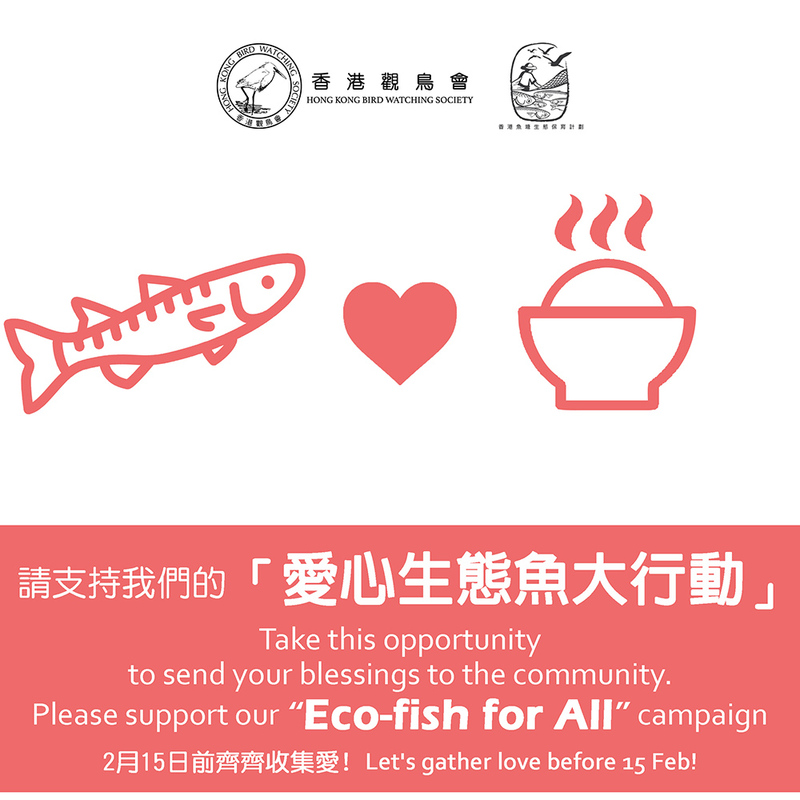 Chinese New Year is coming, Hong Kong Bird Watching Society launches “Eco-fish for All” Charity action to share our “Eco-fish” with the public and community wishing everyone a happy Lunar New Year and also to promote our bird conservation work. 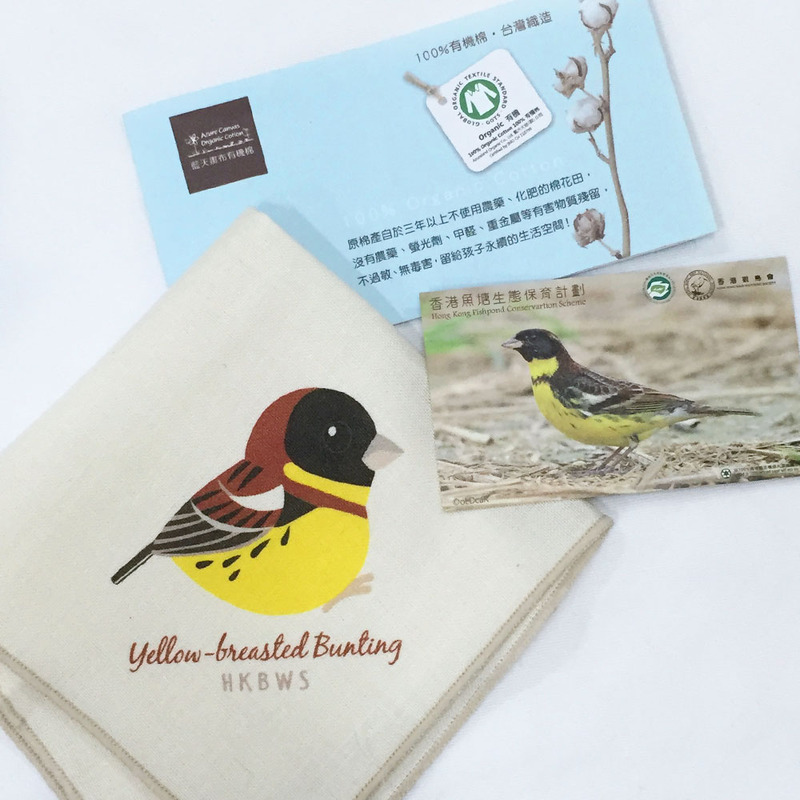 You can donate $300 to Hong Kong Bird Watching Society on or before 15th February, then we will send about 10 catties (around 5kg) of “Eco-fish” to the community (such as elderly, homeless, caregiver) through partner organizations. Take this opportunity to send your blessing to the community. Please support our “Eco-fish for All” campaign. 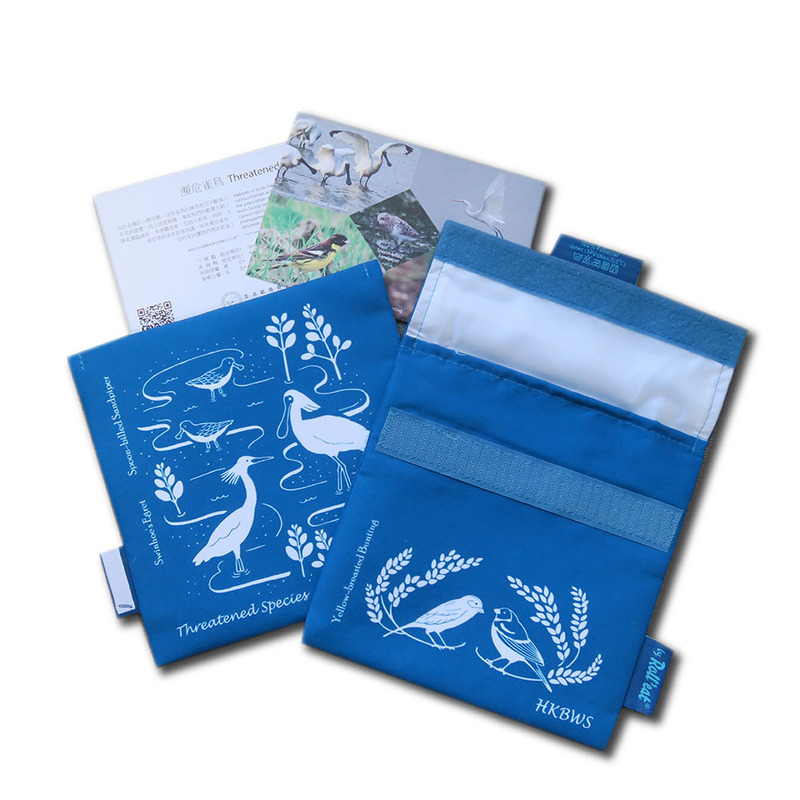 **Tax deductible receipts will be issued with donation of HK$100 or above. We believed that humankind is not the only one to enjoy the farming and fishing produce, wildlife should get benefit as well. 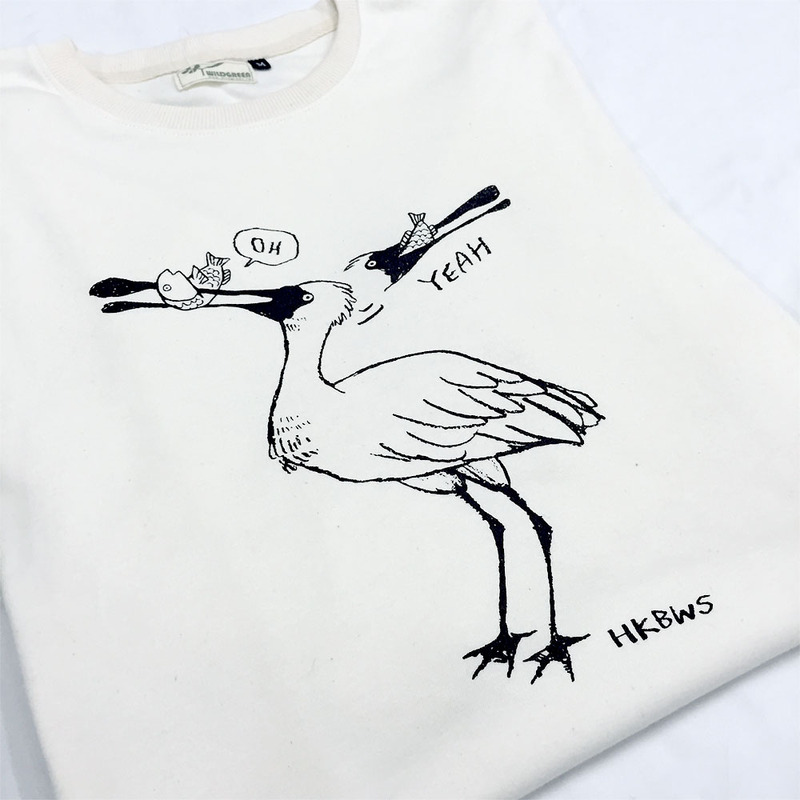 Therefore, HKBWS managed a fishpond and raise “Eco-fish” by adopting eco-friendly and bird-friendly manner. 2. Extended low water level: Traditional fish-farming drains the pond for 4 to 7 days while harvesting. At our “Eco-fish” pond, we extend the low-water-level period to 14 days so that to benefit both migratory birds the fishpond itself. 3. Low-density fish farming: We adopt low-density fish farming in order to reduce the chances for diseases. Therefore, fish farmer do not need to use antibiotics or medicine during the rearing stage. 4. Polyculture methods: We use mixed fish farming in raising Grey Mullet, Grass Carp and Bighead Carp in order to make full use of the fishpond resources. 5. AFCD Accredited Fish Farm: Our “Eco-fish” pond is accredited by AFCD Accredited Fish Farm Scheme, to ensure that fishes raised are absolutely safe for consumption.